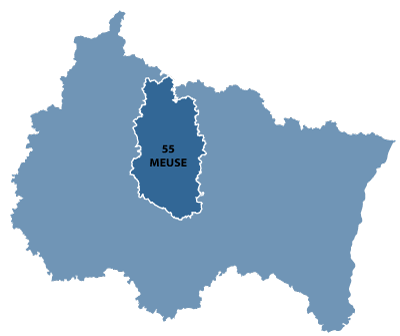 The Meuse is in eastern France and is named after the river, which flows north into Belgium. 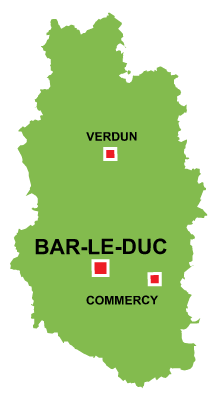 Verdun, one of the most important city in France's history but Europe's as well. 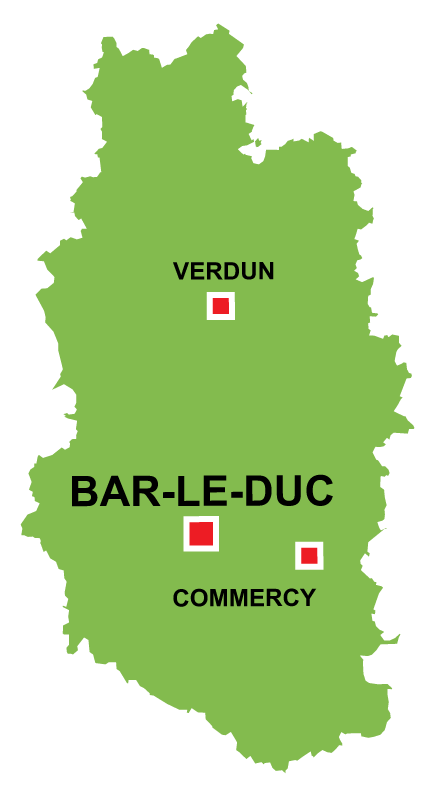 Sadly famous for the deadly battle that is know as the "Battle of Verdun" during the First World War, the city knew its first important conflict more than a millennium before 1917. Around the year 500, King Clovis of the Franks took the city. Since then several sieges ( 984, 1554 ) and battles ( 1792, 1870, 1916, 1917 ) made the city infamous. In 843, the treaty of Verdun participated in the foundation of our actual Europe when King Louis the Pious' three sons shared and divided their territory. "Francia Occidentalis" ( West Francia ) was given to Charles the Bald. 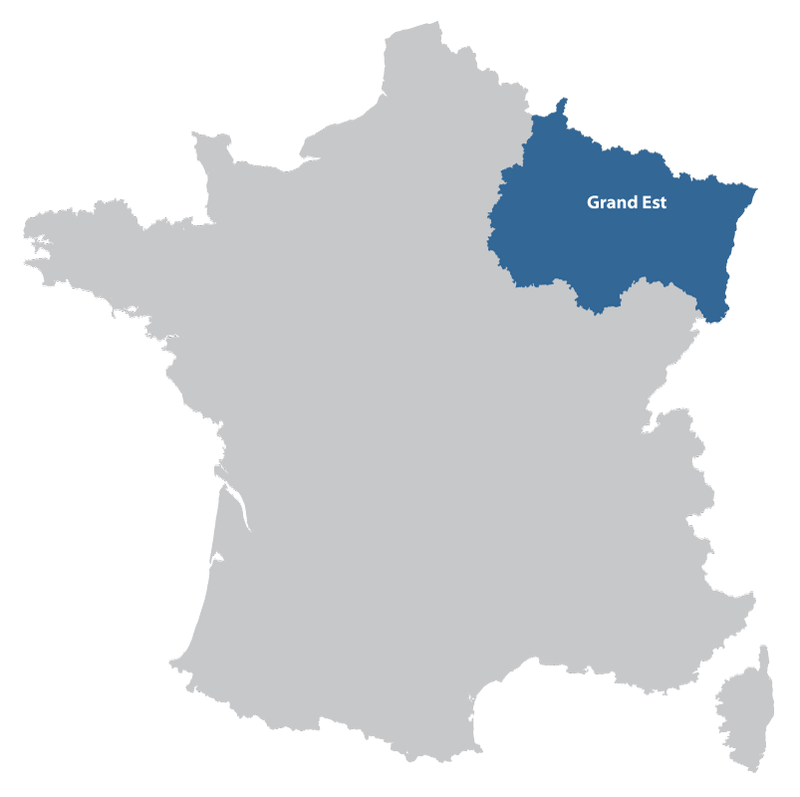 It can be considered as an early Kingdom of France. Francia Media was given to Lothaire and consisted of parts of actual Italy, southern France up to Frisia, a coast region near the North Sea. Finally, "Francia Orientalis" or East Francia was given to Louis the German. "Francia Orientalis" is an early stage of the creation of the Kingdom of Germany.